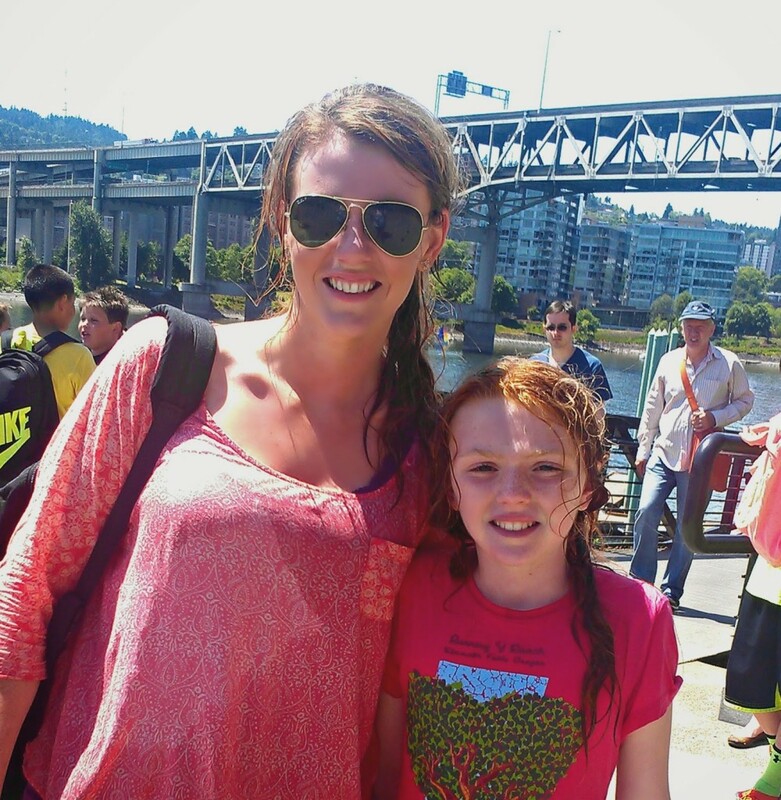 Exactly one week ago I chaperoned Anika’s 5th grade class on an all-day field trip to Portland. 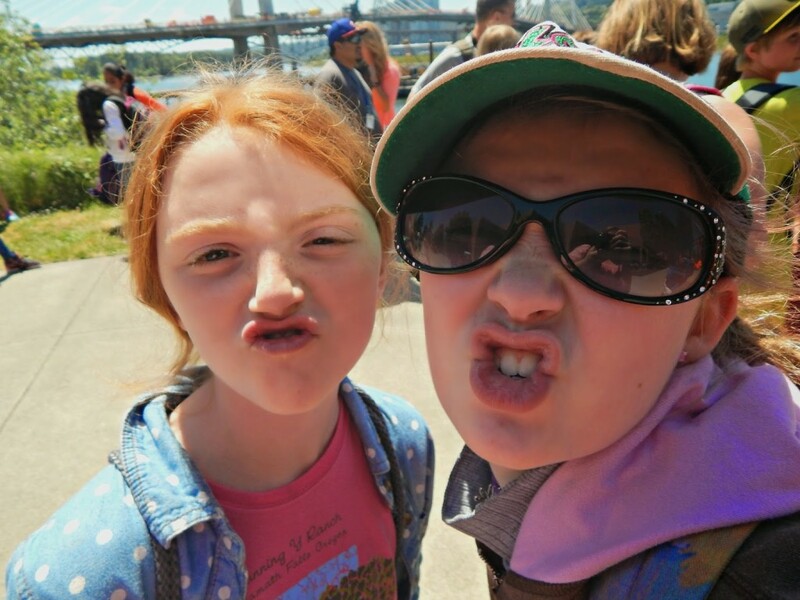 It was actually a field trip for all three of the 5th grade classes – between kids and chaperones we were quite a wild bunch walking around in Portland. 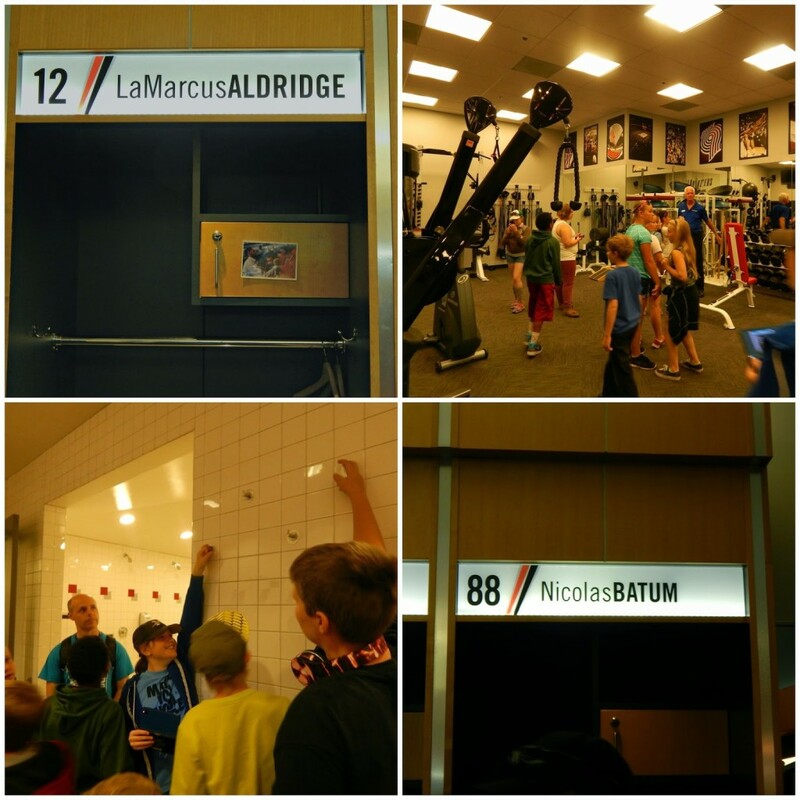 We were all dropped off at the Moda Center and all had a behind the scenes tour of the building – as well as all of the normally off-limits Blazer’s areas. 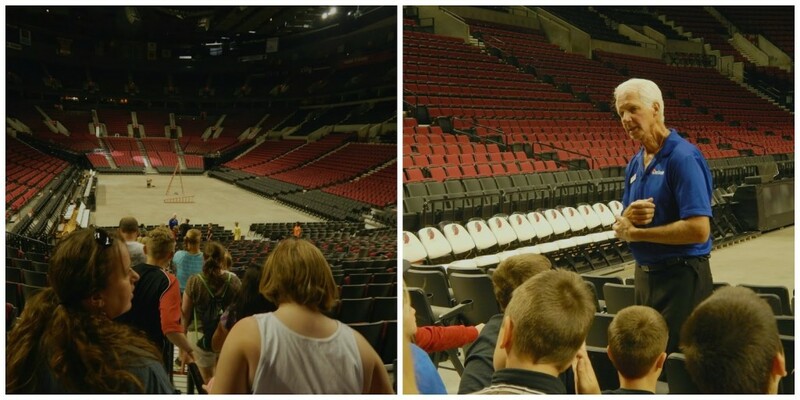 I had no idea that under the floor of the Moda Center is a refrigerated system that allows ice to be created for hockey games. I also didn’t know that they keep the floor iced during the basketball games and they actually place the basketball court on top of it, and that the court is almost like a gigantic jigsaw puzzle with each piece weighing 200 pounds. 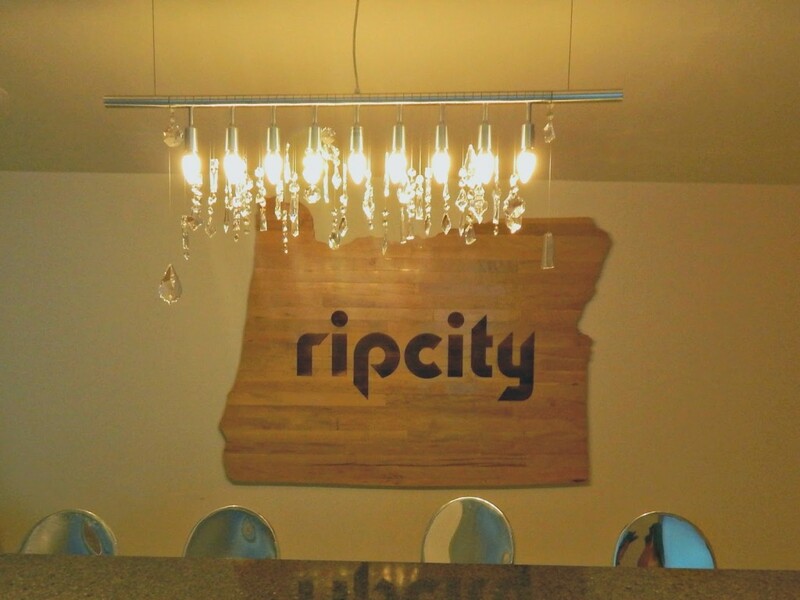 We toured all of the levels in the Moda Center, including the suites as well as a private bar/suite that is open for the player’s friends and families. 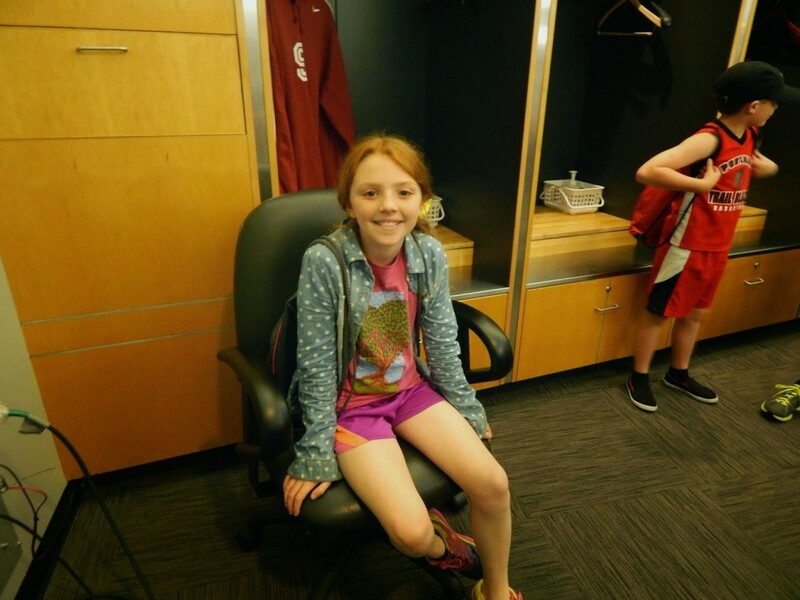 Then things got really exciting for the 11 year olds as we got to see the Blazers locker room, and the kids go to sit in their favorite player’s seat. We then migrated into their shower room and all of the kids noticed how high the towel racks were – and the shower heads which were 8 feet high. They were all in awe. On a side note, I’ve never seen so many ‘selfies’ being taken – ever. I never realized how many kids had smart phones at that age. I guess my daughter really wasn’t exaggerating every time she begged me and threw a fit when I told her she couldn’t have a phone yet because she’s too young. After we finished our tour we all walked down and hopped on the max towards the river. Imagine 85 kids and adults on there – many of which had never rode it before (yes, we are from a small town J) Let’s just say that I think we intimidated some other passengers enough from getting on with us! 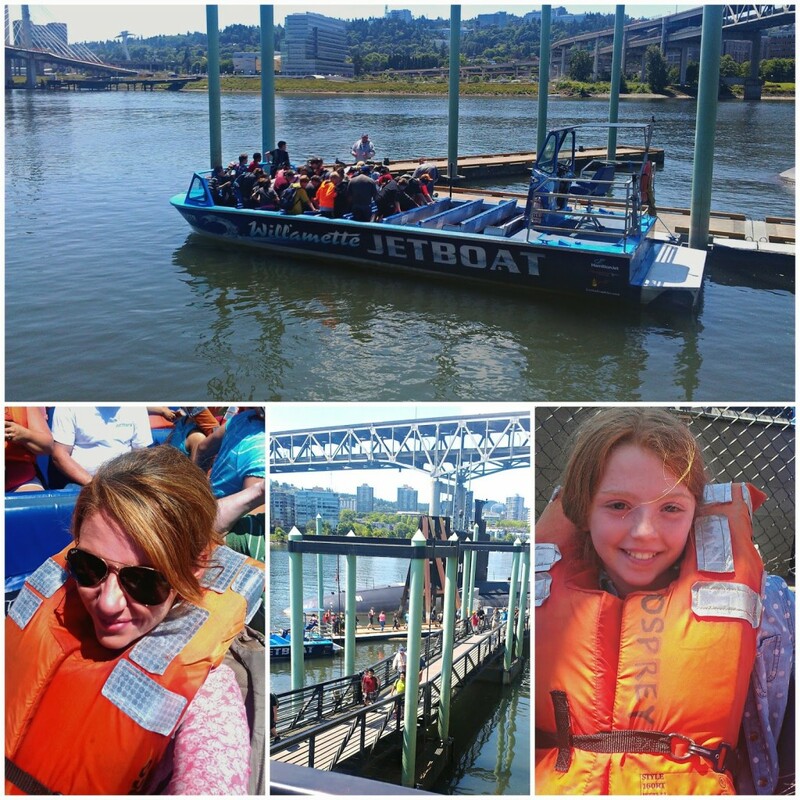 Our next adventure was the highlight of my afternoon – a jet boat tour of Portland’s bridges through Willamette Jet Boats. Our guide was simply amazing. If you ever go ask for the guy with the beard – seriously! 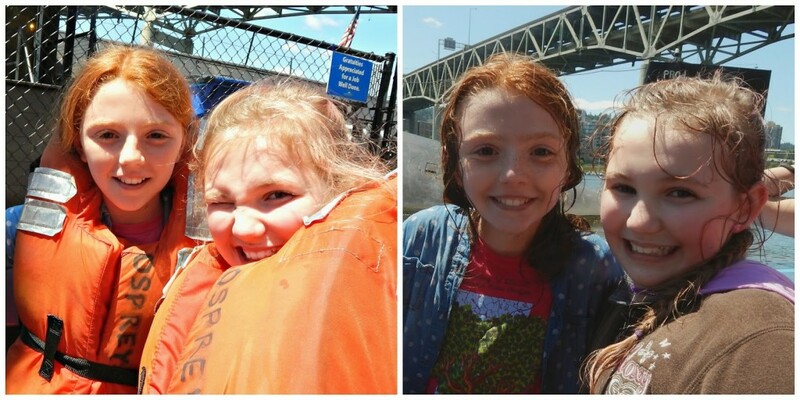 I had never been on a jet boat before and wasn’t quite sure what to expect, but it was seriously the most fun I’ve ever had on a tour – and then magnify that by 40 kids freaking out next to you!! We sat in the second row from the front, which proved to be the place to be if you wanted to get soaked! Our large group split up into two boats and had fun racing each other and doing spins and ‘sudden stops’ on the water – from a speed of 40 miles an hour, which resulted in water absolutely everywhere! When he braked quickly all you could see was a huge wall of white water waiting to topple down on you. I was so glad that I got to experience this ‘first’ with Anika, and this is definitely a tour that we will do again someday. 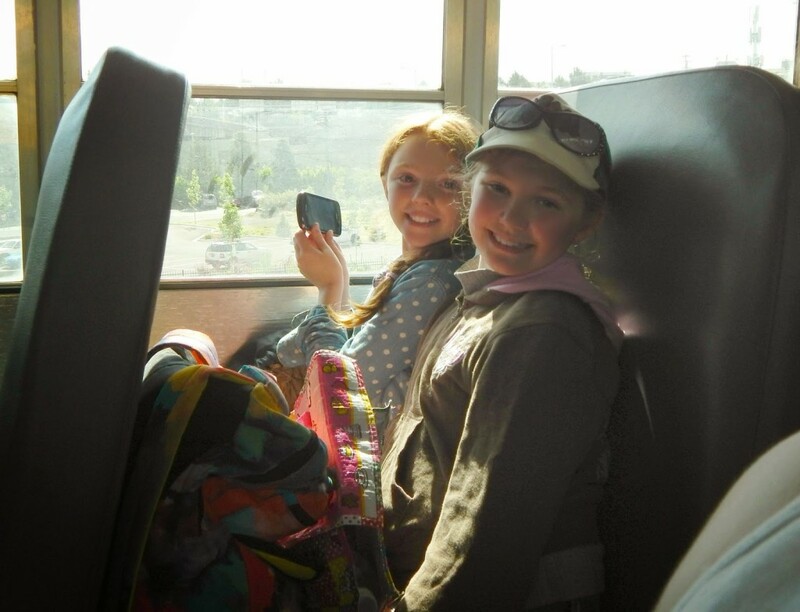 When we were finished we all loaded up onto the buses to head back to our small town. It was a field trip that no one will soon forget. Advertise Opportunity and Starbucks Gift Card Giveaway! What a great trip! Such a fun experience for all those kids! !